Just realized, as I was reading one of my favorite blogs, Enjoying the Small Things, that I haven't done my monthly photo dump! Every month I share with you my photos taken using my iPhone and "enhanced" with Instagram or another app like that. Well, August was just as busy as always. My family and I had some great out fun. My son got to climb on fire trucks, be an ambulance driver, and ever test out a dirt bike with training wheels. My puppy also got to test out my patience when he got into our recycling and tore everything to shreds. Who needs a shredder with him around? I had another Army magazine pick up one of my photos for their cover and I finally finished my son's Avenger room. My son did fabulous being my model for my back to school special and we got him his new school supplies for kindergarten. August proved to be REALLY wet. It rained almost every day (and night) and we also said goodbye to the Olympics. I got to canoe down the Lumber River and learned more about iPhonography. 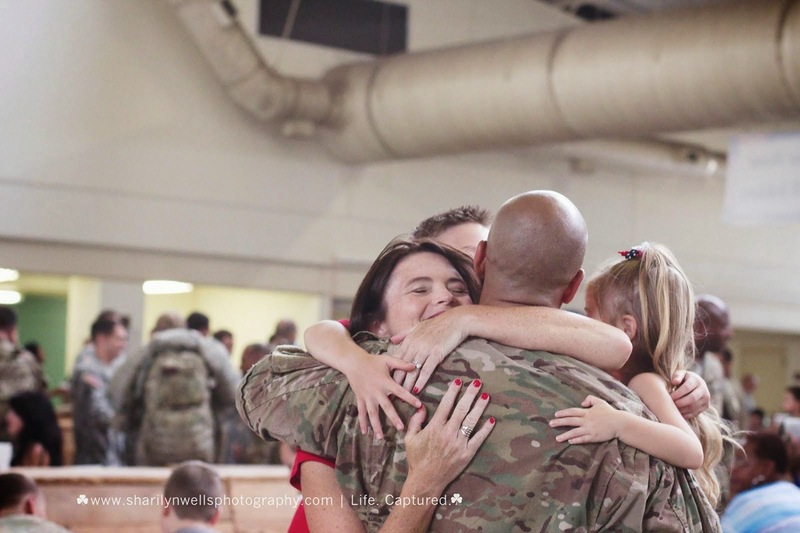 It rained all day when my husband and I went to Busch Gardens for an adult playdate and was super excited to welcome home my son from Grammas after taking pictures of a soldier's reunion with his family. To top it off, we baked some amazing pizza cupcakes. Phew! What a month! Stick with me for next month as it brings more homecomings, more pins, and more fun! 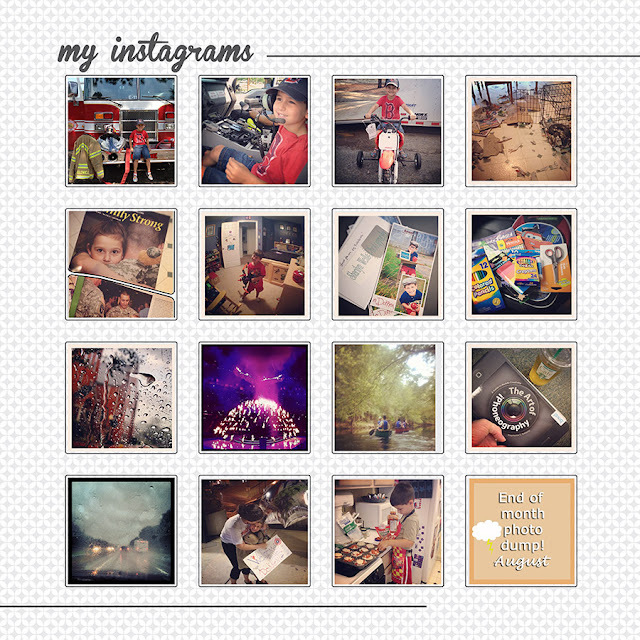 All my personal photos were taken with my iPhone, edited with Instagram and framed together in Photoshop.